Toshiba announced the creation of a new 6.1" LCD screen with a resolution of 2560 x 1600 pixels. The screen has a pixel density of 498ppi, it offers a 1,000:1 contrast ratio and 176-degrees viewing angles. It's unknown if any devices will be able to use the screen though, 6.1" is obviously too big for a smartphone but it's also too small for a tablet. eReader devices could be a possibility, but the screen likely uses too much power for this application. 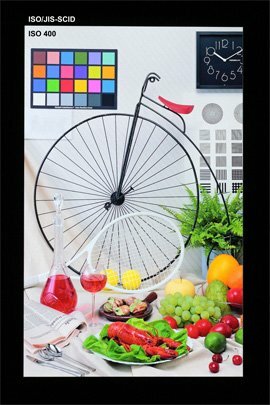 This newly-developed high-definition LCD panel is based on Toshiba's processing techniques for forming fine-pitch and high-performance, low-temperature poly-silicon (LTPS) thin-film transistors (TFT) on glass substrates, and other precise fabrication techniques which have been cultivated over the years. The demand towards high-resolution displays nowadays is pretty evident thanks to availability of HD multimedia content and with the arrival of the iPhone 4 smartphone customers also started to look forward increased pixel density, something that greatly enhances image quality.